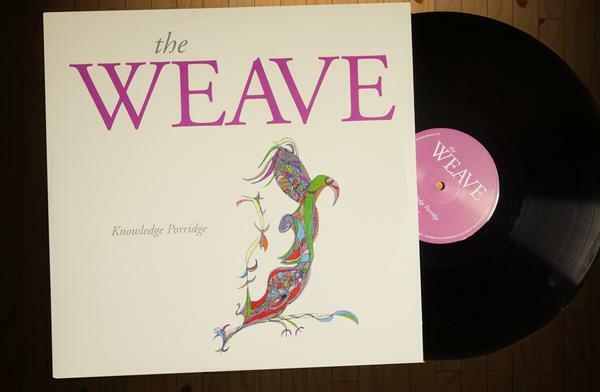 bebop spoken here: CD Review: The Weave - Knowledge Porridge. A gem! You've probably never heard anything quite like this! Unless, that is, you're familiar with Liverpool's Georgian Quarter - a revamped area of the city with lots of real alers and a few music venues, The Grapes and The Caledonia being a couple where The Weave are not unknown. This is an almost compelling genre mix drawing on such disparate influences as Clark Terry, Bob Brookmeyer and Louis Armstrong as well as English pop notably the Canterbury scene of the '60s and '70s. Now, having led a sheltered life, I was totally unaware that Canterbury had a scene. Googling brought Soft Machine to my attention and I began to get the feel of the music and it is captivating. Modern but with history woven into The Weave. The Pogo a hypnotic kind of Latin/Rock rhythm beneath the duelling horns - such contrasting styles! Trumpet Ear inspired by an evening spent listening to a friend has a bluesy feel (surprise?) with the trumpet choruses split by some down home piano from Baranec rounded off by Ormesher's guitar chorus. I'm in Your House a qurky riff with some good vibes from Norheim and more guitar. Our Day on the Mountain written by Smith whilst walking in Snowdonia is all about going through hell and highwater in a relationship and coming out in one piece. Judging by Smith's trumpet solo, he not only came out in one piece but a better man for it! Harrison does some good work too. Luciana Mercer contributed Evolve and Expand. A winsome voice with a folksy tiimbre that ties your heartstrings in knots! Para Parrot, a composition by, and featuring, "Harry" also has earthy piano from Stringer and some plaintive wailing from Peers. Our Fathers celebrates the importance of the paternal line. With Peers once again to the fore this time tightly muted with reflective, probing piano from Stringer. Not on Your Nelly starts off with a traditional Irish lilt to it that continues below whilst on deck the horns are anything but traditional yet still maintaining the feel. Knowledge Porridge is a spoken word piece written and narrated, almost bombastically, by Peers whilst Princess Salami Socks features a cello duet. An album to play over and over again to catch the subtle nuances that don't always jump out and hit you first time round. The Weave - Knowledge Porridge is due to be released on Monday July 6 with a launch gig at the good old Spice of Life in Soho on Thursday July 9. Martin Smith, Anthony Peers (tpt); Anthony Ormesher (gtr); Hugo "Harry" Harrison (bs); Tilo Pirnbaum (dms) + Rob Stringer (pno on 6 tracks); Andrzej Baranec (pno on 4 tracks); Vidar Norheim (vbs on 6 tracks); Stuart Hardcastle (perc on 4 tracks); Luciana Mercer (vcl, acc gtr on 1 track); Michael Head (12 string on 1 track); Georgina and Jonathon Aasgaard (celli). Great review of a fab new album.